Mallory Pugh just wants to play. She has been a star in her sport for years now despite her ripe old age of 20 years old. She was the U.S. Soccer Young Female Player of the Year and Gatorade National Girls Soccer Player of the Year in 2015. In 2016, she became the youngest female player to be selected and play for the U.S. National team during an Olympic qualifying tournament. This summer, she will try to help lead the U.S. Women’s National team to a gold medal in France. She is clearly a special player but comparisons to superstars in her sport and other sports makes her uncomfortable. 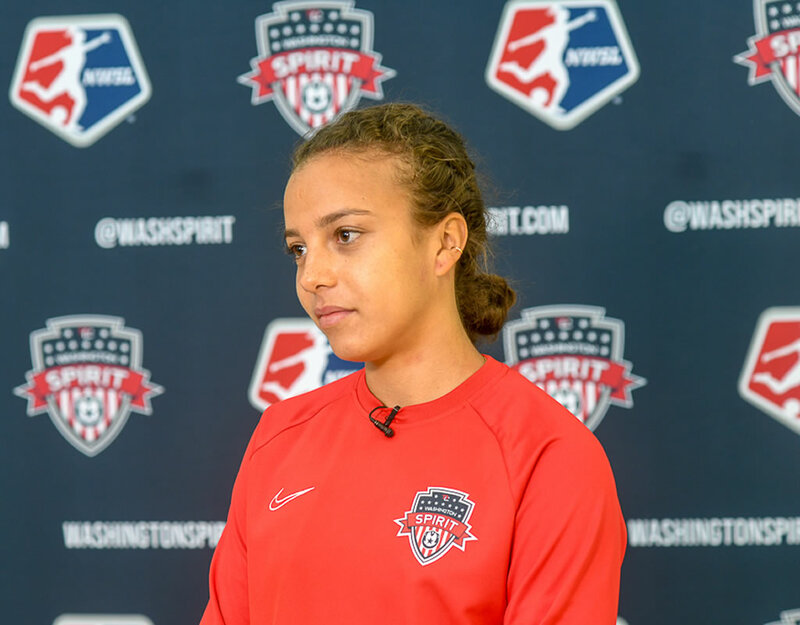 Saturday, Pugh and her Washington Spirit will kick off their 2019 NWSL season. Pugh spoke with Diane Roberts about this summer’s Women’s World Cup, the Spirits’ season opener and comparisons to one of the most famous athletes on the planet.